RRP £1700+, sale price £850. 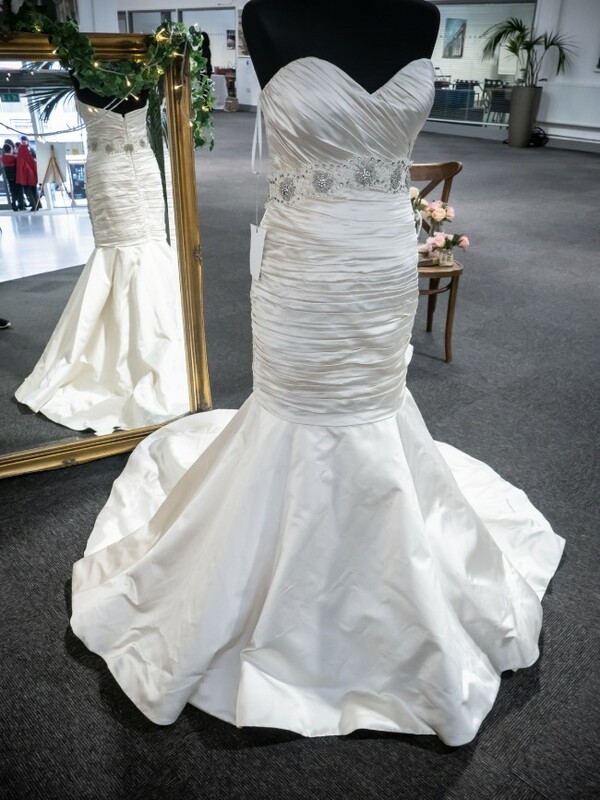 Kindly donated to Wedding Angels in brand new condition, this dress is available to try on in-store and take away that same day. We have an in-store seamstress for any alterations, and a full bridal boutique with bridesmaids dresses, accessories, shoes and more. With over 100 designer dresses there is something to suit every bride. Prices range from £100 to £2000+ and all have at least 50% off the RRP. Please email us for more information or to arrange a drop-in. Once you send a message, WeddingAngels can invite you to purchase the dress.